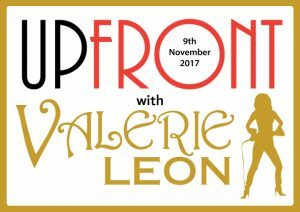 Up Front with Valerie Leon moves to Brasserie Zedel on Thursday November 9th at 7pm. As well as tickets to the show, dinner & show packages available which includes a ticket, A glass of Crémant, a three course menu formule meal, a glass of wine, coffee and water in Brasserie Zédel pre or post show. 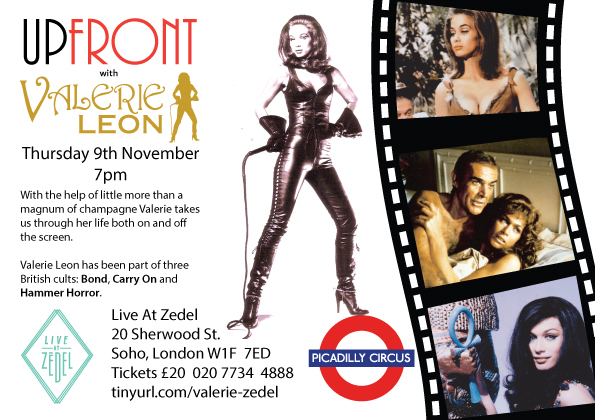 Your dinner reservation must be made separately by calling 020 7734 4888 and quoting ‘Live At Zédel offer’.